Since the 1990s, the number of pedestrian fatalities in the United States has consistently increased each year. In fact, according to the Centers for Disease Control and Prevention (CDC) and the Governors Highway Safety Association (GHSA), there were nearly 6,000 fatalities and over 125,000 reported injuries in just 2017 alone. 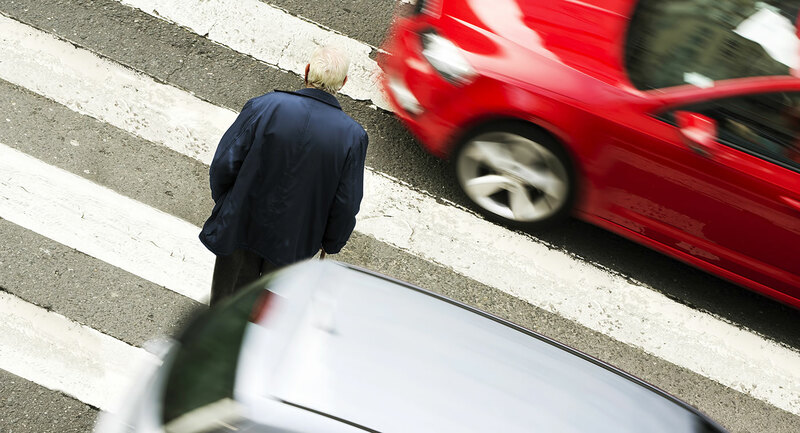 Unfortunately, it’s often difficult to determine fault in these accidents because liability is often shared between the pedestrian and the driver. If you’ve sustained injuries due to the negligent actions of a car or truck driver, it’s imperative that you retain the services of an experienced legal representative immediately. At Schierer & Ritchie, LLC, our Peoria pedestrian accident attorneys can represent your case in court, negotiate with insurance companies your behalf, and do everything in our considerable power to maximize your damages. We have over 30 years of experience. Contact our Peoria pedestrian accident lawyers at (309) 839-2024 if you’ve been injured by a negligent driver. The success of your personal injury lawsuit hinges on your legal representative being able to prove that the driver is responsible for the accident. It’s not unusual for a defendant’s insurance company to manipulate the narrative if it means protecting their client and saving money. They may try to claim that you were acting irresponsibly by walking in front of the car or jaywalking and are therefore responsible for the accident. Fortunately, there are a few important steps you can take to protect your claim. If you’re unable to complete these steps because your injuries are too severe, contact our Peoria legal team so that we can compile the necessary evidence in your place. You need to remember that your legal team isn’t the only party conducting a thorough investigation. An insurance company’s main priority is to save money. They can achieve this by offering you an inadequate settlement and by tricking you into undermining your own claim. This is why it’s so important for you to direct any phone calls or messages regarding your case directly to your attorney. Some injured claimants accept a settlement just to avoid the complicated legal process. While it may be tempting, it’s important to note that these settlement amounts rarely cover the full extent of a claimant’s medical and financial needs. At Schierer & Ritchie, LLC, we can negotiate with the insurance companies for a higher settlement amount and ensure that you’re awarded fair compensation. The statute of limitations in Illinois grants claimants 2 years to file their personal injury claims. We understand that seeking justice while you’re struggling to recover from your injuries is difficult. However, our Peoria pedestrian accident attorneys can handle all the legal details of your case so that you can focus on healing. With our guidance, you can recover damages that account for your present and future medical expenses, any lost wages, and even the cost of lifelong professional care. If you’re to file a claim and pursue maximum damages, contact Schierer & Ritchie, LLC at (309) 839-2024 to schedule a free consultation.